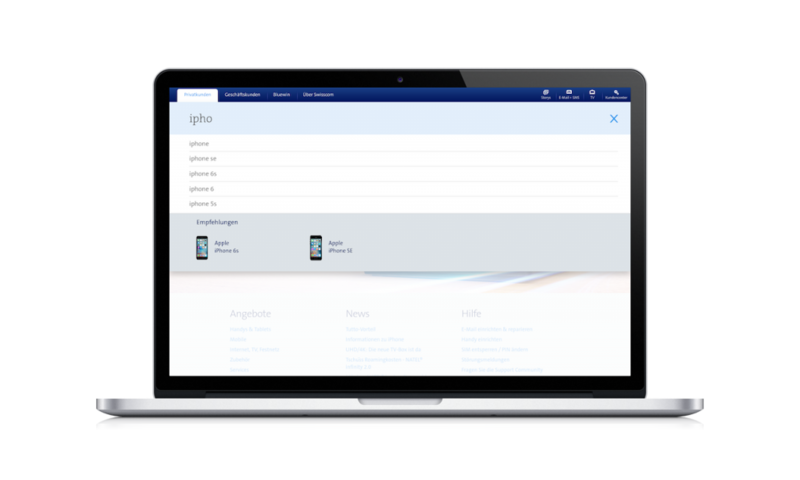 As Switzerland’s leading telecommunications’ company, Swisscom aims to please their customers with a very good network, high-performance offers and outstanding service. 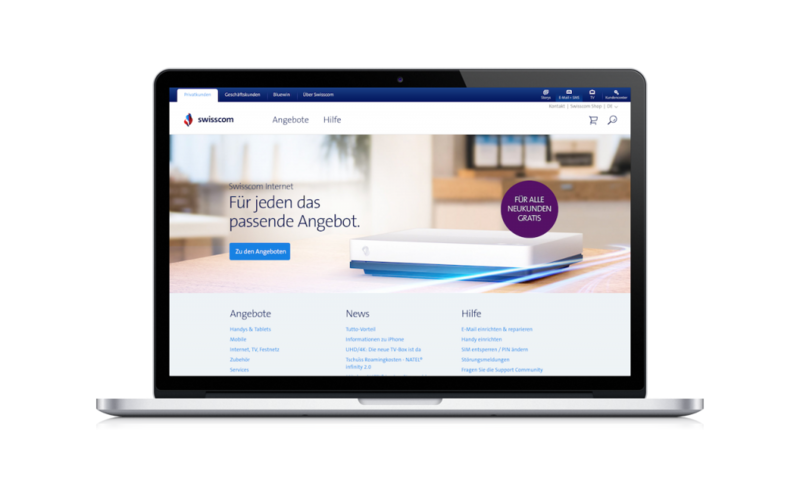 An important contact point for customers looking for information concerning products, questions and services is the Swisscom website. 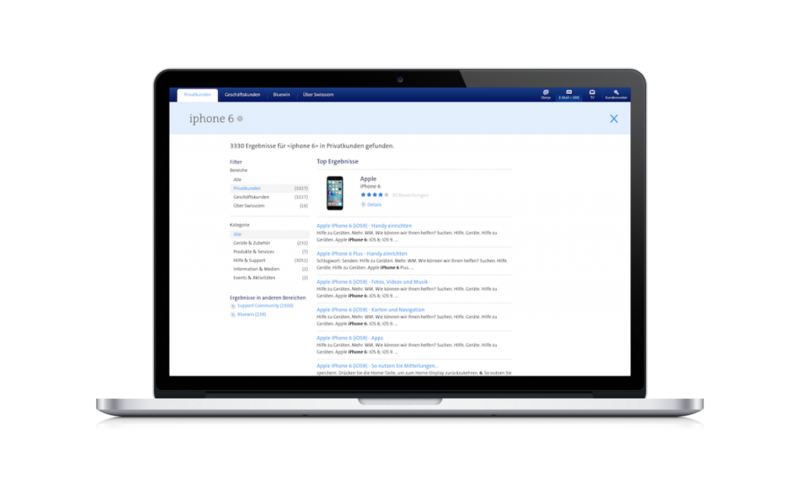 We support Swisscom with the optimization of Swisscom’s Site Searches in terms of functionality, usability and search analytics.